Stayed here for the weekend with 3MudDogs, Two Finders Keepers, MsSkarlet, and all our 4 geo dogs. Had a wonderful time. Experienced some great views, sunsets, sunrises, some massive shaking wind....and a few benchmarks! You can see the lightning rod....the lookout....and Jeeps Lucy & Rubi in this photo. We rented the lookout for the weekend, and thoroughly enjoyed it! Found this while spending a weekend up at the lookout with our dogs. Beautiful and peaceful here! 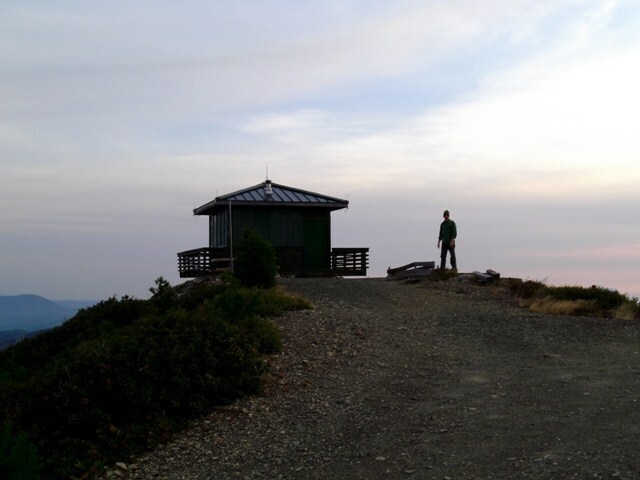 DESCRIBED BY COAST AND GEODETIC SURVEY 1942 (JCS) LOOKOUT IS ON SNOW CAMP MOUNTAIN AND IS ON THE SAME POINT AS THE TRIANGULATION STATION SNOW CAMP 1942. 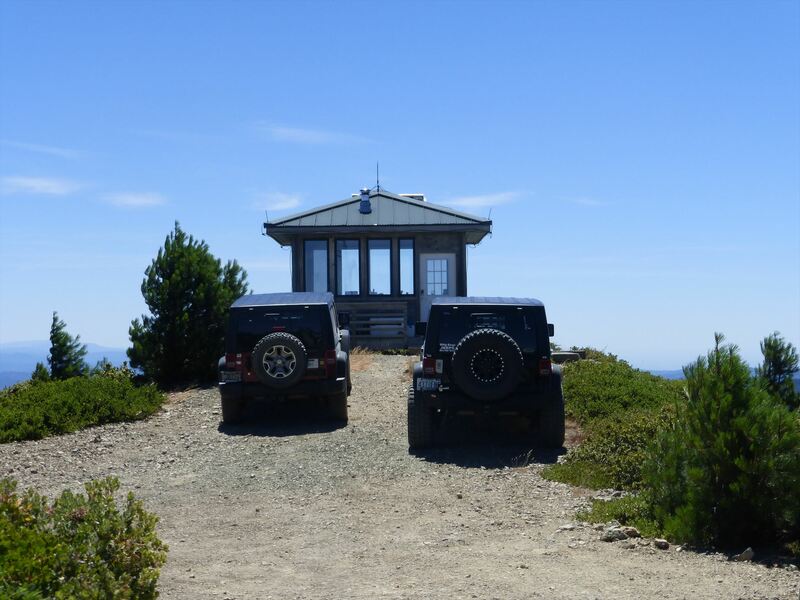 LOOKOUT IS ABOUT 14 MILES, AIR LINE, SE OF GOLD BEACH, 13 MILES ENE OF PISTOL RIVER POST OFFICE, 15-1/2 MILES SSW OF AGNESS, AND IS ON THE HIGHEST POINT IN THIS VICINITY, OVERLOOKING ALL THE AREA TO THE SW AND N. THERE ARE SOME HIGHER PEAKS TO THE NE AND E. LOOKOUT IS A 14- BY 14-FOOT STRUCTURE, RESTING ON THE GROUND, AND IS ABOUT 15 FEET HIGH. THE ROOF IS CONICAL SHAPED WITH A LIGHTNING ROD TERMINATING AT ITS APEX. THE LIGHTNING ROD IS CONSIDERED TO BE THE CENTER OF THE LOOKOUT. THE BUILDING IS PAINTED A GREY COLOR, AND HAS GLASS WINDOWS ALL AROUND.